Each racetrack is licensed by the state racing commission to conduct pari-mutuel greyhound racing in accordance with the rules set forth by the state racing commission. The racetrack does not own, breed, buy, sell or race any greyhounds. The kennels are contracted by the track to race greyhounds. 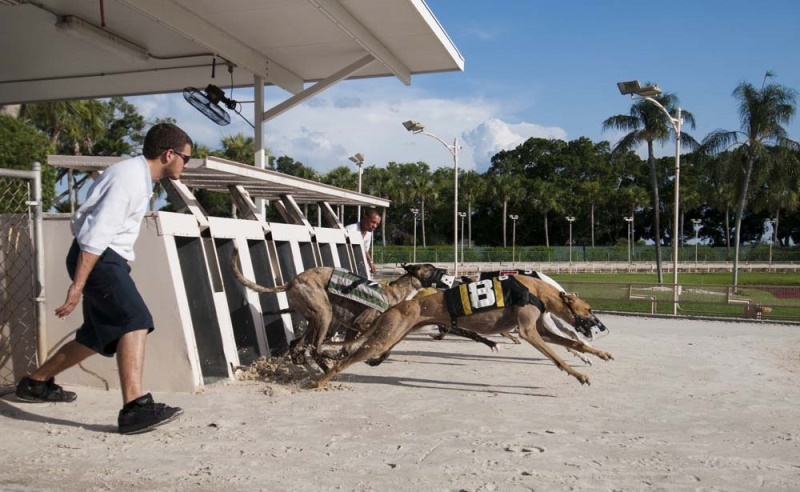 Each kennel agrees to provide a number of active greyhounds, usually 30 to 50 in number, to race at the track.In return, the track provides kennel space on the grounds for the racing greyhounds to be housed. 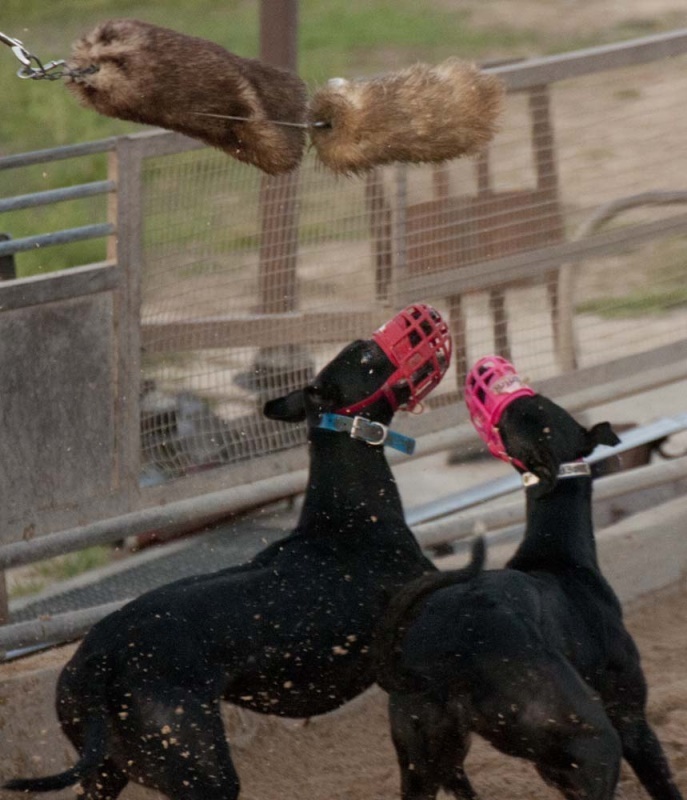 The kennel receives purses based on a percentage of the mutual handle and the performance of the greyhounds. Some contract kennels own all of the greyhounds they race, while others lease the bulk of their greyhounds. The owners are either breeders, or they purchase greyhounds from breeders. Some greyhound racers are bought as young pups, while others are bought when they are ready to race. The price of greyhounds varies according to age and breeding. 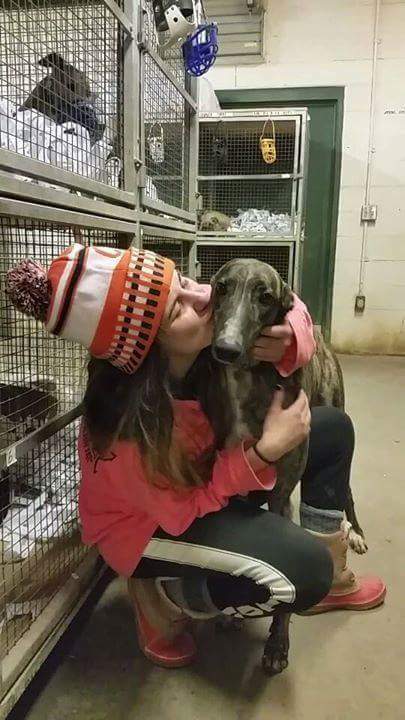 When greyhounds are ready to race, they are then leased to a kennel who is contracted by the track. From this point on, the kennel is responsible for all expenses incurred for the caring of these greyhounds and the kennel then pays the owner a percentage (usually 35 percent) of the purses the greyhounds earn. There are a multitude of breeders who offer their future racers for sale, and many advertise in The Greyhound Review. Prices vary widely from breeder to breeder and increases as the pup reaches maturity. An average price at weaning would be $500 to $1,000 per pup for a well bred individual. It’s up to the buyer to “do his/her homework” to find out all possibilities about the seller and the product being sold. Ask for a list of persons the seller has sold greyhounds to in the past and learn all you can about the quality of the sire and dam of the pup being considered for purchased. Many individuals who sell the greyhound puppies will also raise and train them for prospective buyers for a monthly fee which usually ranges from $80 to $120. If the puppy requires veterinary care other than the usual vaccinations and worming, an additional fee will be charged. If the pup must be sent to another farm to be raised and/or trained, again check for references of others who have dealt with these individuals. At 12 to 14 months of age the pup has begun its training and already is beginning to show its future potential, or lack of it, to the breeder. Be very careful! If you are buying one of a litter, be sure that you pick your pup by random drawand do not allow the breeder to select one for you. Another way to purchase a pup at or near racing age is to attend the NGA auction, held in the spring and fall. Here you will see puppies race against others of the same age in actual racing conditions. Again, before bidding, check the background of the breeders of the pups you are interested in buying. Have they sold pups at the auction before? How did they fare once they were sent to the racetrack? If you are to ensure that your pup races at a certain track, perhaps one near your home, talk to kennel owners who are contracted to race there and arrange the placement of your pup in advance. Most tracks require greyhound owners to sign a lease to the kennel owner. Make sure that the lease provides for prompt payment of commissions (35 percent for regular purses and 50 percent for added money is a common practice, however, actual commission rates are subject to negotiation) and allows you the opportunity to terminate the lease if not satisfied. Also, the lease should allow you to participate in decisions about moving the greyhound or care of the dog if injured or otherwise deemed unfit for competition. 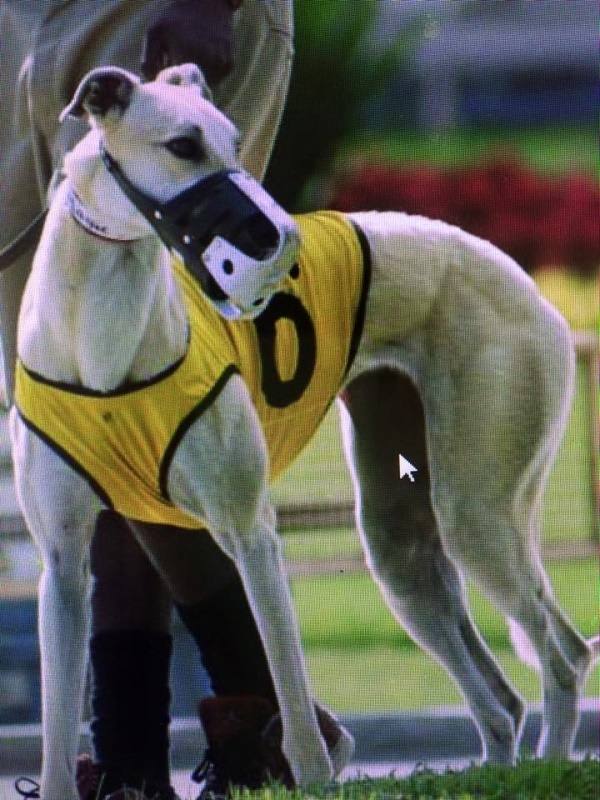 If you do not have a specific destination in mind for your racer before he goes to the racetracks, ask the breeder to help you place the pup and check the breeder’s track record in this regard. HOW DO I OWN A RACING GREYHOUND? Apparently, the standard answer is, ask the National Greyhound Association. The letters flow in daily asking the same questions. Our response is brief: “As one looking to get involved in Greyhound racing or breeding, we recommend you subscribe to The Greyhound Review ($30 a year plus tax in Florida and Kansas or $3 per issue).” The Review contains racetrack features, articles from the farm, items of veterinary interests and much advertising, including stock for sale as well as most every sire standing at public stud. In the Review you’ll also find books and videos available for purchase. One such book is "Care of the Racing Greyhound" ($40-$60). It is a 420-page collection of invaluable information regarding all facets of the Greyhounds--from anatomy, function and reproduction to raising, training, therapy and therapeutic medications. For the hobbyist who doesn’t want to spend the time learning the game by reading books and the Review, one way to become a greyhound owner is through a broker, or others that sell to the general public. Most brokers--someone who sells Greyhounds from pups to track age--generally offer a one-time fee. They operate much like car salesmen or realtors. And just as there are always some used car salesmen willing to let your have a lemon for a the price of a Mercedes, there are some greyhound brokers who’ll sell slow greyhounds for the price of an American Derby winner. Owning a racing greyhound can be fun, rewarding and profitable. There are many success stories. But keep in mind, the nature of the business: High risk, great rewards.